The iconic Glentress Hotel on the outskirts of Peebles in the Scottish Borders is under new ownership. New owners Murray and Alex asked me to redesign them a new landing page for the relaunch and rebrand. We went a bit further than a landing page for day 1 but it’s still a work in progress with new features being added over the coming months. 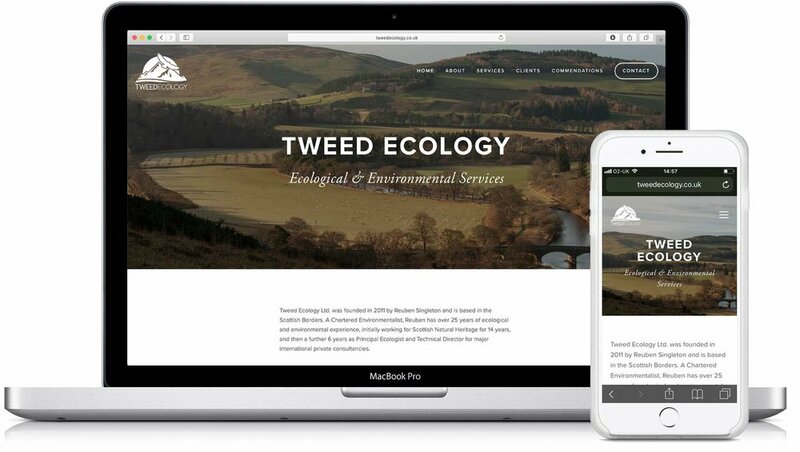 Tweed Ecology owner Reuben Singleton approached me looking for a refresh on his website to bring it more up to date and to move away from his existing hosting provider. By building the site in Squarespace I managed to do both. We also provided some of the photography as well as working with an established wildlife photographer, Laurie Campbell. A local youth group were looking to revamp their website and make it easier to update. They wanted a site that was more dynamic but at the same time told their different audiences relevant information, such as parents, funders and other interested groups. Again using their own imagery, I created a site that appealed to the broad range of audiences but in the main tried to use bold colours to appeal to the youth element.